Make the lovely animals stretch. 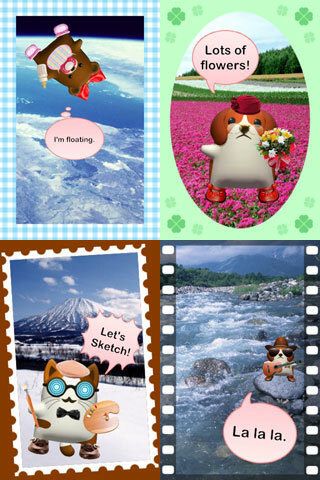 Let's enjoy "Nobikuma" life together! Send your favorite photographs to everyone. Due to campaign, the application costs $0.99. What do you use "Nobikuma" for? 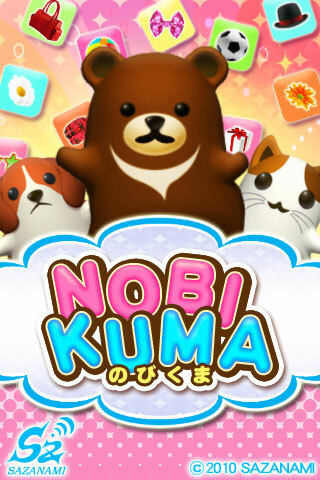 Let's play with a mysterious animal "Nobikuma"! 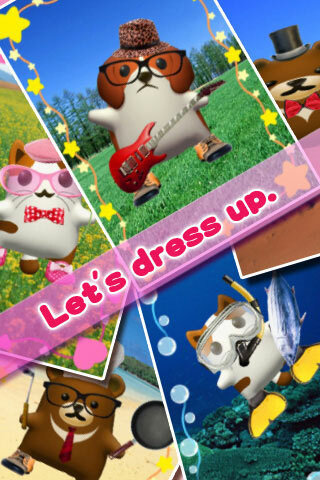 Dress them up with clothes and take photographs. 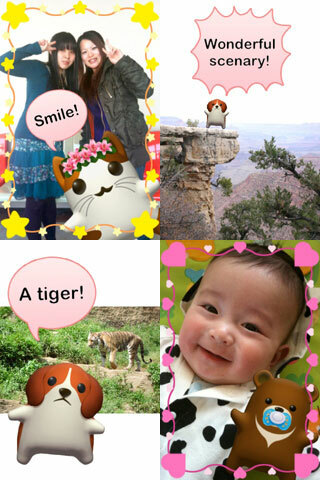 Let "Nobikuma" appear in your blog! 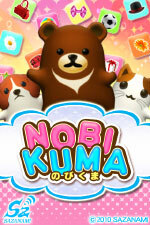 There are "Nobikuma"(bear), "Nobineko"(cat) and "Nobiinu"(dog). They become happy when you stretch them! Help them dress up when you get new clothes. There are various items in the shop. Dress them up in various ways! Take them to many places. 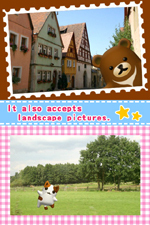 The background photograph can be changed. You can take them to the sea, the flower garden. You can also use your own photographs. 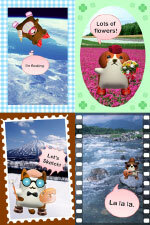 Take lovely pictures with "Nobikuma"
Nobikuma becomes hungry after several hours. Feed them when they ask you. They release items and hearts when you touch them after their meal. Something good might happen by collecting hearts! Decide a pose, and say cheese! take a pose, and say cheese! Send your original photographs to your friends. Come and look at our "Nobikuma" gallery. You can also decorate pictures using iPod Touch. which are handy for sending by emails. You can turn on/off the music from the option button of the information screen. - When, by main body setting I prohibit it from the purchase The alert of the blank is displayed It supported malfunction. - Fixed the position of the input window of the message window in iOS4. - When the home button was pushed,the ending processing was added. - Added 10 hearts and 3 items as a problem apology. - FIFA World Cup Campaign. Added referee items. - Some free items added. - Added "What's New" at the information screen. - Now it is possible to save BGM setting. �@�@You can load the program while playing your own music. - The number of hearts is now recorded properly. 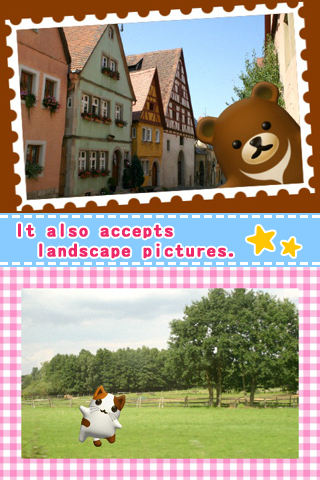 - It now accepts landscape pictures. - Item selection has become easier.